Google’s new robust streaming device, the Chromecast, is both wonderful and inexpensive, but before you connect to your TV, make sure you perform a speed test on your device. Once you know your speed is up to par, you’re only a few simple steps away from enjoying your new Chromecast. What Is a Google Chromecast? 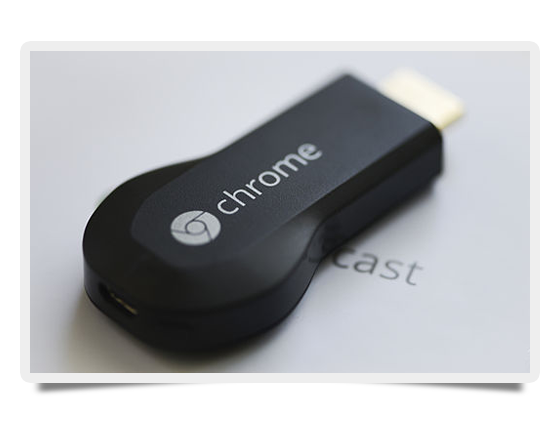 Chromecast is a dongle (a small piece of hardware that attaches to your device) that plugs into your TV’s HDMI port and is powered by a USB cable. By using your smartphone (or laptop) you can use Chromecast to stream content from the Internet: Netflix, Youtube, Hulu Plus, HBO Go, and the Google Play store (and more). Chromecast is simply just a transmitter between your TV and your streaming service via your device (smartphone, tablet, or laptop). You need to make sure you have home WiFi. If you don’t, you’re out of luck. You need to analyze your home bandwidth. Perform a speed test on your smartphone, tablet, or laptop (the test incorporates HTML5 technology, so it will run on any device and browser, without a separate application to download). Your WiFi should be nice and robust in the vicinity of your TV. Use the speed test as well to test how strong your WiFi signal is (a weak signal means weak streaming). Follow the directions on the box: plug it in (you will need a free HDMI port, and remember that you need to either plug the power via USB or use the power adapter included in the box). Set up the Chomecast by going to google.com/chromecast/setup (we recommend that you use the device that you plan to use as your remote as the set up device, either your smartphone, tablet, or laptop, and don’t worry, once you’re up and running you can connect as many devices as you feel). Download the Chromecast app or utility (remember: you will probably need a firmware update out of the box; things might stop working while the Chromecast updates, but afterwards it should work perfectly). Connect to your WiFi network via inputting your password (you better know your password by now!). You are ready to stream. Go to Netflix or YouTube, and you will see a logo for streaming. Activate it, and what’s streaming on your smartphone, tablet, or laptop should now be streaming on your TV. Happy Streaming!